BOSTON – (RealEstateRama) — The U.S. Environmental Protection Agency (EPA) is inviting the Narragansett Bay Commission in Providence, R.I., to apply for a $251 million Water Infrastructure Finance and Innovation Act (WIFIA) loan to make infrastructure improvements to control combined sewer overflows (CSOs). After a robust, statutorily required review process, Narragansett Bay Commission was selected as one of 39 projects nationwide, from a group of 62 prospective borrowers, representing large and small communities, who submitted letters of interest to EPA in response to the 2018 WIFIA Notice of Funding Availability (NOFA). Together, the selected borrowers will receive WIFIA loans totaling up to $5 billion to help finance over $10 billion in water infrastructure investments and create up to 155,000 jobs. The WIFIA loan will further the Narragansett Bay Commission’s work to design and construct a storage tunnel and associated infrastructure to provide a storage volume of 58.6 million gallons, which will help reduce CSOs. 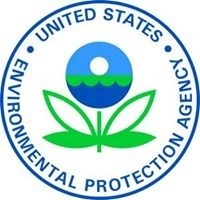 To learn more about the 39 projects that are invited to apply and about EPA’s WIFIA program, visit https://www.epa.gov/wifia/wifia-selected-projects.Contact Us to ask a question, provide feedback, or report a problem.